Overnight or day camp on the campus of the United States Military Academy at West Point, N.Y. Two ice sessions daily of on-ice instruction and scrimmages. Use of campus facilities for off-ice activities. Three sessions (two five-day camps and once-a-week options) in the Boston area, directed by former Bruins/Olympic goaltending coach Joe Bertagna. Two hours daily for Day Camp. In a jam-packed three-week session, campers will major in hockey at our state-of-the-art facility, while experiencing everything a traditional camp has to offer. Lake Placid, NY: Weeklong camps (June 30-July 6, July 7-13, July 14-20, July 28-Aug. 3). Niagara, Ontario: Weeklong camps (July 14-20, July 21-27, July 28-Aug. 3). One-on-one training - it's the signature of every CAN/AM program. Lake Placid, NY: Weekend camps (June 13-16 & Oct. 3-6). Niagara, Ontario: Weeklong camp (July 21-27). Las Vegas, NV: Weekend camp (Aug. 8-11). If you're serious about improving your game CAN/AM is the place for you, no matter what your skill level. Lake Placid, NY: Family weekend clinic (June 14-16 & July 12-14). Niagara, Ontario: Family weeklong camp (July 29-Aug. 2). Make this the year you travel to camp together. This family camp experience will be one that you will all cherish for a lifetime. At CAS Hockey Academy, you can maximize your hockey game while having fun and meeting new friends at one of the best hockey camps in New England. Our ice hockey camp is located at Berkshire School and offered June 30-July 20. Hockey players have option of attending 1,2 or 3 weeks. Improve your game this summer! High Skills Performance Camp's. 2 Hours of on ice per day, off ice training, 7:1 player; coach ratio, puck management and shooting drills, edge control, written player evaluation, games. Our professional coaches will help you improve all aspects of your game. From edge work, speed, balance, stick handling, shooting, decision making, and overall hockey IQ. Three ice sessions daily and competitive games every evening. Comprehensive off-ice training. Different sessions for boys and girls, ages 8-17 at Norwich University. Videos and more detailed information on our website. Erik Nates Euro Hockey offers a variety of focused training programs to help hockey players develop their individual skills and take their game to the next level. For the past 15 years, our programs have been considered one of the best in your area. Look for us in New York, New Jersey, Connecticut, Pennsylvania, North Carolina, South Carolina, Georgia and Texas. info@nateshockey.com. FCA Hockey will be hosting Skills, Advanced and Goalie camps as well as annual Team FCA (‘99-’05 birth year AAA players) and Pro / College camp at our brand new $9 Million dollar Sports Complex in Alexandria, MN. Additional skills camps located around the country. Summer Select Teams for Chowder Cup consisting of ‘99-’05 players that are coached by top level coaches. Internationally recognized as the leading power-skating and skill development expert among NHL pros, Olympians, college players and youth of all ages. Year-round elite programs and summer camps for all levels. See ad and website. Good as Gould—the goalie’s goalie school. Top-notch coaching and instruction from those who have firsthand experience and connections at the NCAA Div. I, USHL and NAHL levels. We can run your goalie clinics in the Illinois area. This is our 25th year of individual skill development (ISD) camps. Come master your power skating, stickhandling, passing, scoring, body contact, small games and more using our unique drills, equipment and the Carter Method. The Gretzky Hockey School is intended to be a fun and unique experience with skill development from some of the best instructors in the world. June 16-22, 2019, in Deerwood, Minnesota, will be directed by Hannah Brandt, a member of the 2018 U.S. Women’s Olympic Hockey Team & Gold Medal winner. You now have the opportunity to learn from & train with an Olympic Champion! Two age groups to choose from, U12 & U14. 2019 is the 43rd year of providing quality hockey instruction combined with training in Christian living. International hockey training program features drills from seven countries. Instructors include current and former NHL players. Camps offered in 37 locations. NHL/AHL goaltending coach and USA Hockey coach/scout Bob Janosz teaches modern goaltending from youth through adult goalies. Janosz brings more than 20 years of coaching experience. Held at Kent State University in Kent, Ohio. Specialized programs for forwards, defensemen, goalies and parents program. All levels and ages. This is our 31st season. The summer of 2019 is the 41st edition of The Capital Hockey School. It takes place in Quebec City (Université Laval) from June 30th -Aug. 23rd and offers nine different programs for boys and girls. The LA Kings Hockey Development department strives to increase the number of hockey players in the Los Angeles area and exist as the go to resource for skill development. Through hockey curriculum guided directly by the Player Development Department, skills, techniques, and concepts taught to the Kings players filter down to youth players developing in our programs in age and skill appropriate formats. Experience Michigan State Hockey and train like a Spartan this summer alongside Spartan players, coaches and alumni. Hosted at Munn Ice Arena with an elite-level curriculum designed to challenge all ages and skill levels on and off the ice. Go Green! For 40-plus years, MHC has trained hundreds of NHL and future NHL athletes. Resident camps available for mites to pros; girls & boys, goalies, and teams all with legendary on & off-ice training. Camps run June 16 to Aug. 17. Email info@mnhockeycamps.com. Train for Success at MHC! Notre Dame Hounds Hockey School is located in Wilcox, Saskatchewan and features 20 hours of on-ice instruction, an Olympic-size rink, individual and team-based skill development, power skating and off-ice training sessions. Elite, goaltender and male and female development camps running the month of July. Come experience Penn State Hockey and train at the state of the art Pegula Ice Arena. Overnight and day camps for 12U-18U. 60+ locations throughout the USA. Acclaimed 5-day innovative skills training camps conducted by our professional international staff. Power skating, stickhandling, passing, scoring, body contact, small games and more. Includes dryland training, video lectures, pre-camp preparation workbook, individual skills assessment and free camp jersey. Innovative training that players love! Our 25th year. The ultimate resident hockey camps! Breckenridge, CO and Sheffield, MA (Berkshire School); June and July, Three hours daily ice, dryland training, video/lectures, white-water rafting, mountain biking, 24/7 supervision, resort lodging/meals, professional staff. Sessions: Squirts, Peewees, Bantam/Midget, Girls, A, AA, AAA. AAA only session where players train alongside current NHL players with NHL skills coach. European Hockey Summit: Esbjerg, Denmark. July 26 - August 3, 2019. European hockey camp, tournament and family vacation. 8 hours of hockey daily with top International coaches and players. Players stay with host families, parents & coaches in hotel. Become part of a Danish hockey family for the week! There is no better family hockey experience on the Planet. Oktoberfest Classic Adult Tournament: Munich/Füssen, Germany. September 16-23, 2019. 8+ games vs. Russia, Finland, Sweden, Germany, Italy and more. Bavarian hotel, spas, castles, Oktoberfest (Munich) and more. 2 Divisions. The 25th Annual Pre-Prep Showcase® is an Outstanding Opportunity for both Girls and Boys (born in 2004, 2005 & 2006) to gain exposure to private schools through Ice Hockey. One team practice AND four game guarantee, outstanding coaching by private school coaches, impressive guest speakers/presentations, luncheon, and admissions fair. Don’t be Overlooked - Sign-Up Today! Only $399. August 1st-4th. Leading in youth hockey development for ages 5-18. The Battle Camp trains all skills in game situations. AAA Boarding at Boston University, Hybrid Power Skating combines all skating disciplines. Defense, Goalie, Stick Handling. Seeking AAA birth 2004-07s to play for, Prague Aug 4-11. The official Camp of Hockey East and Boston Bruins. Sponsors: Bauer, Gatorade, Dunkin Donuts. With over 20 years of experience, our staff boasts NHL skill development coaches, pro scouts, college coaches and more. College, AAA, Total skills day and boarding camps offered. Camps so good we back them with a 100 percent money-back guarantee. Now entering our 15th season, RMU Hockey Academy is Pittsburgh’s premier camp destination. We offer a wide variety of options including skill development, specialty, and new for 2018 a Mite to Squirt Transition camp. The skill and development specialist. Power skating, stickhandling, scoring, shooting, body contact, goaltending and team camps. Adventure Resident Hockey Camp in Steamboat Springs, Colo. European hockey tours. Located in southern Minnesota, Saint Mary’s Hockey Camp is a one-week, residential camp designed to enhance skill development in a college hockey environment. Shattuck-St. Mary’s boys and girls hockey camps offer aspiring young players a depth of experience that few camps can match. Join us this summer. Providing dedicated defensive instruction for 16 years, now with over 50 programs in 11 states! Programs focus on backward and lateral mobility, gap control, pressure vs. containment, playing the rush, breakout options, winning 1 on 1 battles, net front play, D-zone positioning, and much more! SIHA is entering its 30th year, conducting camps in 30 U.S. Cities. SIHA’s 40-hour program includes: power skating, puckhandling, goaltending, off-ice shooting, lectures, Russian training, recreation and computerized video analysis (personal take-home flash drive offered). SIHA is a nationally recognized instructional organization. Since 1974, our experienced instructors create challenging, organized and disciplined environments to provide individualized training with low student-to-instructor ratios for all ages and skills. Tahoe Prep Hockey Academy Camps are the development destination for the serious hockey player. Experience high altitude hockey specific training on & off the ice for a week in Lake Tahoe, Calif at our THA Dorms. Minnesota’s top hockey camp for 30 years. Our highly-skilled instructors deliver intense on-ice drills along with exciting off-ice fun-n-fitness programs for players 6-15. We offer Goalie, Weeklong Day & Overnight Camps, 3-Day Weekend Clinics. 5 locations including the NEW Tria Rink! Hockey camps and clinics by Graeme Townshend, former NHL Skating Coach and player. Boys and girls camps for skating, scoring, defense and stickhandling. 500+ D1, 100+ NHL players developed. Over 50 years of experience conducting hockey schools. Réal Turcotte has designed a systematic approach in the art of stickhandling, which guarantees individual improvement. Train with the best coaches in the nation this summer at the UPMC Lemieux Sports Complex, the official practice and training facility of the Pittsburgh Penguins. We are offering a variety of camps for all age levels and abilities. Elite AAA development camp directed by current NCAA & Junior A coaches: features 4 hours on-ice and 3 hours off-ice training per day at the University of Denver. Intended for current-year Bantam-Midget AAA/AA and Junior A/B players. 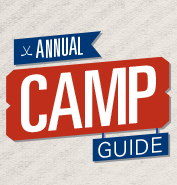 Hockey camps designed exclusively for adult recreational players. Not a fantasy, just outstanding coaching. The best thing you can do for your game. Satisfaction guaranteed. Email us at info@weekendwarriorshockey.com.